David Krycer will take your residents or community group on a musical journey. With his love of great songs, his guitar, his ukulele and his tuneful voice, David creates a vibrant and engaging atmosphere. Bringing together a broad range of time-honoured favourites (always appropriate for the age of the audience), sweet ballads, lively sing-a-longs and even a romantic French song or two, he has the right repertoire for your needs. Groups are happily warmed with nostalgia, singing and clapping along. With a musical career that sees him perform in concerts, at weddings, aged care centres, restaurants and much more, David is a working musician, composer, arranger and educator with a wide range of musical expertise and styles. He has extensive experience performing solo and in groups all over Australia as well as overseas. 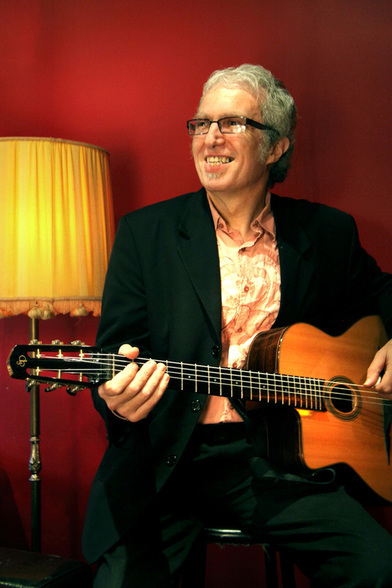 David plays solo shows at aged care centres and community groups around Melbourne. Let David know when you'd like him to play at your centre or venue. David has performed and recorded with many top local and international jazz, rock, folk and acoustic musicians. He is a highly skilled multi-instrumentalist with a passion for making joyous music, the universal language that brings people together and smiles to their faces. A sample song list is available on request.